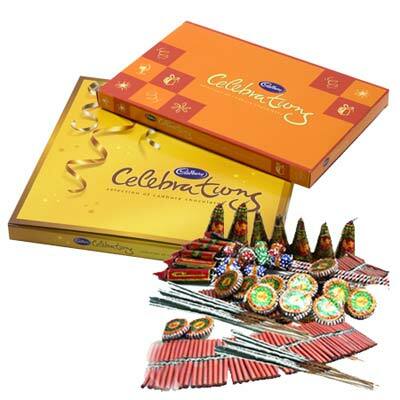 Product Consist : 2 Box of Cadbury Celebration Chocolate Pack (Weight : 140 Gms each) with Assorted Fire crackers (Worth Rs.300/-) (Note: Types of Fire Cracker are depends upon their availability no specific choice). 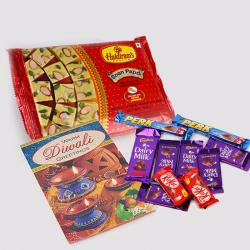 Special festivals call for special gifts like the one we have for you here. 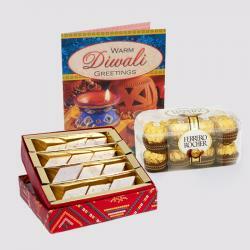 This hamper is a complete happiness hamper best to be gifted on any occasion or festival like Diwali. It comprises of 2 Box of Cadbury Celebrations chocolate along with assorted Firecrackers set of assorted fire crackers worth Rs. 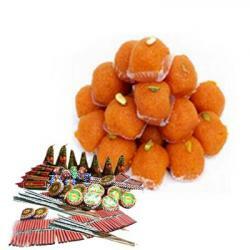 300 that include sparklers ground chakkars red fire crackers sparkler threads and so on. So order this hamper today and send happiness in the form of this hamper. 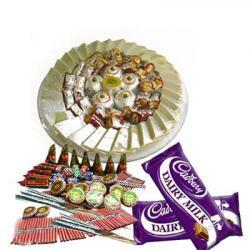 Product Includes : 2 Box of Cadbury Celebration Chocolate Pack (Weight : 140 Gms each) with Assorted Fire crackers (Worth Rs.300/-) (Note: Types of Fire Cracker are depends upon their availability no specific choice).